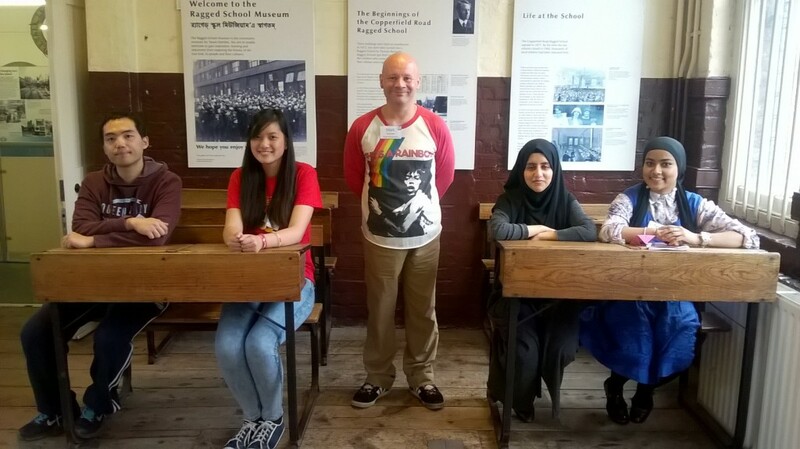 “I’ve been an intern at the Ragged School Museum for just over a month now. I first heard about the position through my university’s careers website and the role of an education and development intern at a museum really appealed to me. I was (and still am) unsure about what I wanted to do after finishing university, but I have always been interested in education. This placement offered me the opportunity to experience education in an unconventional setting, which I knew would be an invaluable learning experience! “When I first started, I was given enough time to learn about the Museum’s daily procedures and familiarise myself with the Museum’s Schools Programme. I sat in on a number of sessions, both in the Victorian Classroom where children get to experience a lesson with the strict teacher Miss Perkins, and also in the Victorian Kitchen where they get to see what domestic life was like for the poor kids who attended a ragged school. During my first week I even got the chance to lead an object handling session in the Kitchen – I was nervous as I had never done anything like it before! Even though it didn’t go as smoothly as I imagined and I’m sure my mind went blank at times, it was a really good experience and I’m glad I was given the opportunity to dive right in. I told myself that if that didn’t go so well, I can only get better from here! 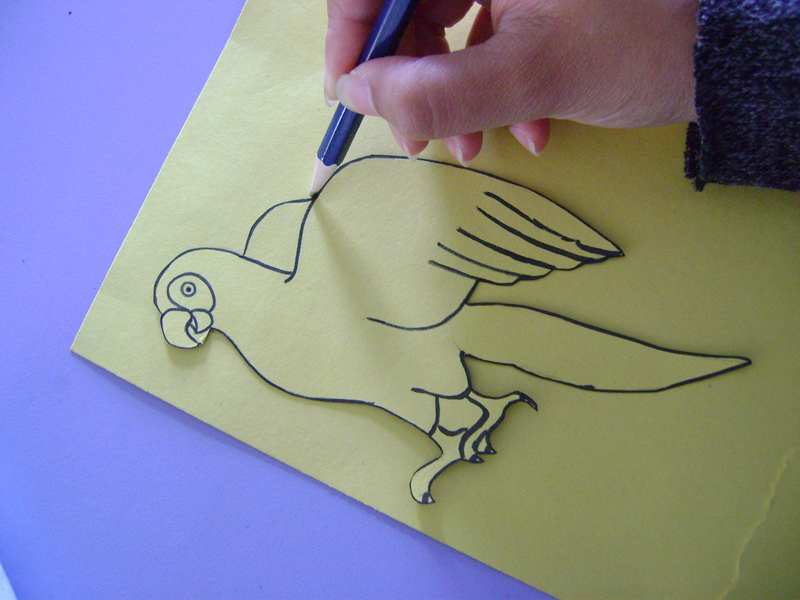 “As well as the schools programme, the Museum also provides holiday activities for families. Since the school trips have stopped for the summer holidays, I have been quite involved with organising and carrying out these holiday sessions. I love art so it has been fun trying to come up with engaging activities where children can be creative and learn something at the same time. The activities are held twice a week and the museum can get quite busy – just last week we had a group of 90 children turn up all at once! It’s really nice to see kids interested in history and getting creative. There’s always something to do on days when the museum is open; from welcoming visitors at the entrance to helping out at an activity, replenishing resources or serving in the museum shop. Tomorrow I’ll be responsible for running the entire open day and ensuring everything goes smoothly – which should be interesting! A great thing about working in the Ragged School Museum is that it’s small and independent so I am given opportunities and responsibilities that I probably wouldn’t get at a larger organisation. “When the Museum is closed to visitors, there’s still work to be done. Some of the things I’ve been doing include planning ahead for the upcoming activities, designing a Museum trail challenge (with prizes!) for families, and learning about some of the Museum’s future development plans. 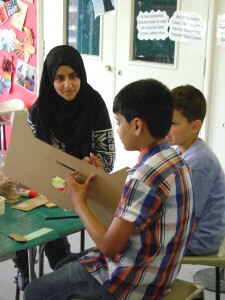 Currently the Museum’s schools programme is only offered to Key Stages 1 and 2, but they are looking to expand this to Key Stage 3 as well and are starting to develop a slightly more advanced structure for them. I’m also starting to learn about the Museum’s funding; the Ragged School Museum is an independent charity and receives no public funding, so getting funds in is important to ensure the Museum can continue to provide its numerous programmes. “In my time at the Museum so far, I have learnt a lot about life and education in the 1800s, and the Victorian Era in general. I have particularly enjoyed learning about Dr Barnardo, the man who opened this ragged school and who did tons of charity work benefitting thousands of young, poor children. His life’s work is very honest and inspiring! I have also learnt a lot from the staff members and volunteers at the museum; some of whom have been working here for several years and can remember the local area before it changed. They have many interesting anecdotes and facts to share, things that you wouldn’t necessarily learn by reading a book. Even though my academic background is not in History, I love the subject and I’m trying to learn as much as I can.